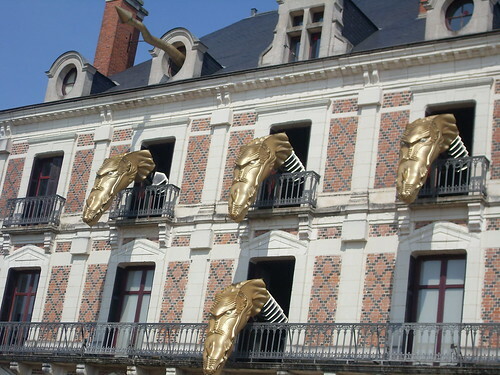 The Museum of Magic ('Maison de la Magie'), Blois, France has a unique clock which is like a giant cuckoo clock but with a difference. 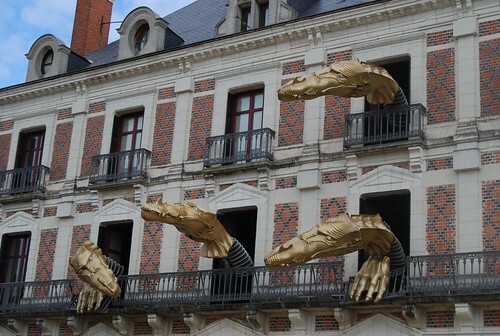 There are no needle hands and instead of Cuckoo bird coming out at every hour, 6 giant animated roaring heads of a dragon emerge out of the sliding front windows, alongwith two giant claws which crush the front railings. A large waving tail also appears from a circular skylight above the windows. The dragon heads measure 7 metres each. The feet are 1.5 metres each and the tail is 6 metres long. The dragon show designed by Michel and Jean-Pier Hartmann, combines the concept of Cuckoo clocks of the eighteenth century to the technologies of the twentieth. In order to control the weight, thereby reducing the force of inertia, the dragon skin is made of carbon fibre and epoxy resin. This has not only reduced the overall weight (each head weighs less than 15 kg) but has also provided a realistic jerk free flexible movement to heads, hands and the tail. The entire sequential movement is automated and computer controlled. On completion of the show the dragon and its heads etc retract into the hollow thick wall and are totally invisible from both inside as well as outside the house. The show lasts for 5 minutes and takes place every hour. On the half-hour only a single head appears and the show is for only 3 minutes. The Museum of Magic honours the memory of Jean Eugène Robert-Houdin - a French magician who is widely considered as the father of the modern style of conjuring. 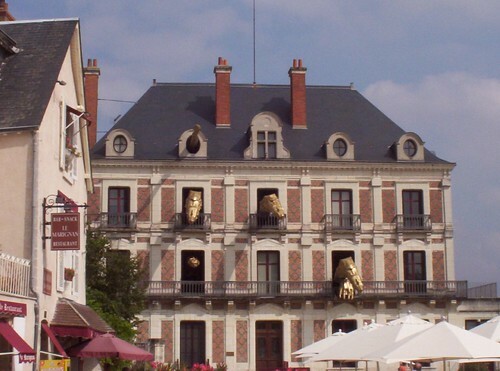 He was born in Blois and had later lived in this very building which now houses the museum. His statue adorns the front of the museum.